We are offering durable varieties of Oil Skimmers which can be used in waste water treatment plants for removing excess oil from sewage and industrial effluent water. They have advantages like optimum performance, usage and are always available in different types like tube type oil skimmers, belt type oil skimmer and others. 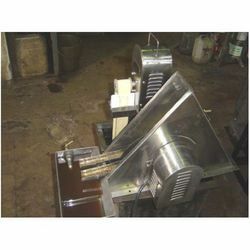 Our sound reputation of manufacturing, supplying, and exporting a wide gamut of Oil Schemers has enabled us to offer our valued clients Funnel Type Oil Skimmer. It is extensively used in effluent treatment plants to remove oil from water to be treated. 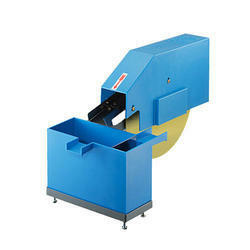 We have used the finest grades of raw material components that are procured from trusted vendors. It has remarkable capacity of removing layers of oil and is precision engineered by using state of the art technologies. Our valued clients can avail the same at reasonable prices. We are offering Orange Floating Weir Skimmer to our client and we assure satisfaction and quality of the product. 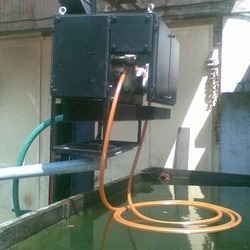 Backed by our vast experience of manufacturing, exporting an impressive array of oil schemers for waste water treatment we are presenting Tube Type Oil Skimmer. 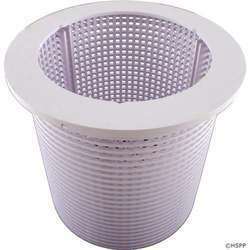 These are widely used to remove excess oil from water. 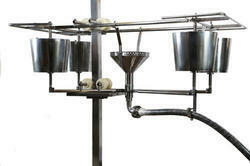 It is designed for continuous operation of removing oil as well as grease from water. 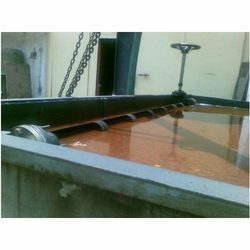 It is provided with cantilever type extended swivel arm as mounting and the shaft is made from the highest grades of steel alloys. It offers clockwise rotation and has a wiper made from Teflon. It has a safe area of operation is powered by electric drive. Leveraging on our sound technological expertise and sound domain knowledge of manufacturing, supplying, and exporting a wide array of Oil Schemers we are presenting Slotted Pipe Type Oil Skimmer that is used widely for removal of layers of oil from water that is treated in effluent treatment plants. We have used the best grades of stainless steel alloys and other raw materials to manufacture these in our latest facilities. Our stringent quality control norms are in accordance with laid down industry standards. We have acquired a strong reputation of manufacturing and exporting a broad assortment of precision engineered oil schemers such as Fixed Disc Type Oil Skimmer. These are highly appreciated for their dependable performance of oil removal from effluent water. We use the latest technologies to manufacture these in our modern facilities. These are made from the highest grades of basic components for durability and flawless oil removal operations. 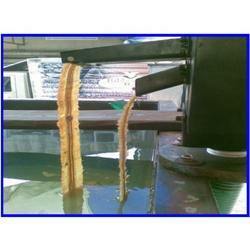 We are engaged in manufacturing of wide range of Rope MOP Oil Skimmer. We are the leading supplier of Pollution Control Equipment made available to our clients at competitive prices.